Parents of children with autism face daily struggles in virtually all areas of life. It isn’t uncommon for parents to feel isolated from their extended families and friends simply because these individuals may not grasp the full scope of the challenges. Parents may feel alone in their struggles to deal with schools and child care, and they may give up entirely on social events. Above all, it’s hard to find the time to spend time with a friend in between ABA therapy appointments. However, there are effective ways to fight back against social isolation. After noticing the signs of autism in your child, it’s important to speak with specialists right away. 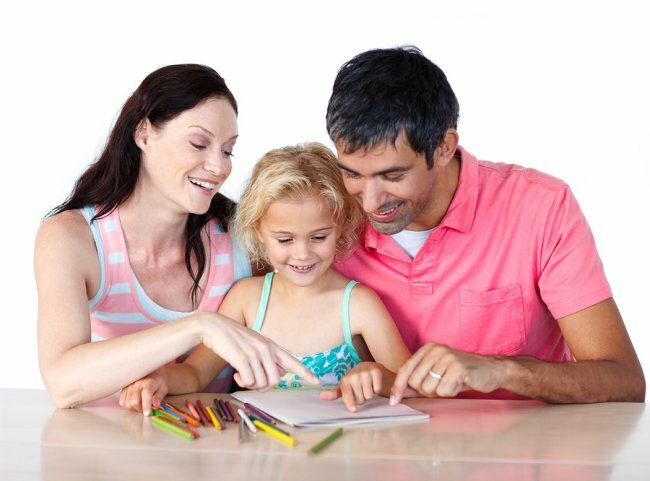 An ABA therapist can identify your child’s unique needs and challenges, and design a therapy plan for him or her. But the support your family needs doesn’t stop there. Explore opportunities for parent training and support. The ABA school may offer school advocacy services and consulting services, for example. It’s hard to feel truly isolated when you have effective allies on your side. Even the best ABA therapist cannot add more hours to the day, but a little creative juggling may help you find the time to work on family relationships. After an autism diagnosis, spouses sometimes drift apart. The relationship can suffer because of time constraints, financial issues, and the sheer stress of caring for a child with behavioral issues. Fight against these problems by scheduling time together on a regular basis. While your child is in school, for instance, you and your spouse could enjoy a lunch date. This bypasses the dilemma of finding a capable babysitter. Children with autism face social isolation every day and they are more likely to be targets of school bullies . Be proactive about helping your child adjust to each new classroom by asking the teacher if you can give a quick presentation to the class. Explain that your child has a disorder that affects the way he or she behaves. Help your child make friends by letting the classmates know that although your child might have problems interacting, he or she loves to draw pictures or play with trains. The Behavior Exchange provides a full suite of services for families in the Plano area who are affected by autism. In addition to our evidence-based autism therapy, we provide parent training, school consulting, and school advocacy services. Call us at (888) 716-8084 today for more information. The signs of autism can be detected very early in life. ABA therapists tend to agree that the sooner autism is detected and interventions begun, the better the outcome is likely to be. However, autism can cause less noticeable differences that may not be readily observed until the child is in a classroom setting. Teachers are often instrumental in identifying developmental differences. Some children with autism are inappropriately and incorrectly labeled as “defiant” because they may not be able to follow a teacher’s instructions, sit still at a desk, or stay on task with an assignment. Sometimes, non-compliance can be born of receptive language deficits; the child may simply not understand spoken directives. Social interactions are often challenging for children with autism. Some children may want to make friends, but aren’t sure how to do so. When a child does make friends, he or she may not easily adapt to the commonly accepted social rules of friendship. Or, a child may shun other children his or her age, preferring to stay nearer to adults or children of different ages. Children with autism are often found by themselves on the playground. Teachers who are familiar with the potential signs of autism may call a parent’s attention to a child’s behavioral differences. Sometimes, children with autism do have full-blown meltdowns, which are often triggered by changes in established routines. Often, the behavioral differences are subtler, such as when a child with autism inadvertently gets in another person’s “personal space.” As children with autism grow older, they may display an obsessive attention to detail in one narrow topic of interest, such as trains or baseball statistics. Some kids with autism display repetitive movements such as hand-flapping or rocking. For almost two decades, families affected by autism in Frisco have relied on the compassionate therapy team at The Behavior Exchange. We firmly believe that every child with autism can reach his or her full potential with clinically proven interventions such as Applied Behavior Analysis (ABA). Call us today at (888) 716-8084 and let us know how we can help your family. Research demonstrates that children with autism who receive early intervention services tend to have better outcomes. At The Behavior Exchange, our ABA therapists are dedicated to helping each child with autism get off to a great start in life. The Behavior Exchange Early Start (B.E.E.S.) Program was designed specifically for preschool children. It is a small group therapy program, with one ABA therapist for every three children. Our early intervention program features a fun theme each week, including Be Safe, Be Happy, and Be Healthy. Within our dynamic, positive environment, your child will practice interacting appropriately with peers and developing other important social behaviors. The B.E.E.S. Program guides children with autism in developing key language, behavior, and academic skills necessary for lifelong success. For further information about the B.E.E.S. Program or our other autism therapy programs, contact The Behavior Exchange at (888) 716-8084. We are a leading provider of ABA therapy for families in Plano, Dallas, and Frisco. How Is High-Functioning Autism Defined? Diagnosing a child with high-functioning autism can prove challenging because these children tend to have only a few developmental differences and generally function well across multiple areas. It can be particularly difficult for parents to pick up on the possible signs of high-functioning autism when these children display higher intelligence and certain advanced skills that are ahead of the targets for their age groups. Every child with high-functioning autism is unique. One child might be able to complete daily tasks, display affection toward family members, and use age-appropriate language, yet not be able to play with peers or maintain a conversation. Another child might have age-appropriate academic skills, yet display substantial speech and language delays. Parents who suspect a possible developmental disorder in their children should keep careful track of their observances. Have you noticed possible signs of autism in your child? Call The Behavior Exchange today at (888) 716-8084 to schedule a consult with a board-certified behavior analyst near the DFW area.